From time to time people ask us about new music – and while we are at it, to deliver the playlists as free files or downloads. But we have always turned those requests down, because we genuinely believe that artists should be rewarded for their art and hard work… and we don’t work for free either. So our mission with DJ Svoger is just to enlight, inspire and inform about new great dance music – from around the world. The intention is to continuously update the blog, when we stumble upon a new track and we will strive to deliver a selected track every friday, as our track of the week. 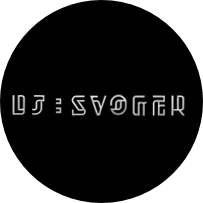 As the first thing each month, we publish a DJ Svoger Mixtape consisting of ten great dance tracks. If this creates value or delights you in any way, we would love if you Liked our Facebook site. Because new connections on Facebook; Soundcloud or MixCloud always motivates us to create, discover and inform about even more great music. But DJ Svoger is not a “private party”, so please feel free to comment, link and share all the things that keep you dancing all night long.